Vision this morning of a hand held oil lamp being cleaned. It was made of pottery. For sometime I have had John 6 and the feeding of the five thousand on my heart and the LORD teaching on being the Bread of Life. I think it is very likely that this teaching was given just before the second passover, rather than the first. The anniversary of the manna starting was the day following second passover (Numbers 9 and Hezekiah’s revival 2 Chronicles 30). The first vision I ever had was of a round table with a slice of bread on a plate and a glass of water beside it. The LORD said drink. It was then that I received the Holy Spirit. I was not told to eat the bread. I think the reason was that I had received salvation as a child. I went forward during an altar call but there had been no repentance. After I was saved, there was 20 years of gross rebellion. It was the Holy Spirit that compelled me forward to receive salvation but it was a deep and extended work in my heart that would later bring me to repentance. John 6 was some kickoff and the most extraordinary puzzle piece. Thank you for sharing that Jane. The Lord warns of the calamities to come not to make us afraid but so we would repent and be ready for these things. Dear God give us all backbones of Titanium, Hearts of Flesh; minds and souls that are fixed on the ROCK; and a will to do thy Will O God most High. He will do better than that! He will make us shine with His glory! 5. Tribulation starts when Satan and his angels are cast down from the second heaven. Lasts 3.5 years. 6. Revelation 12 sign in the heavens on September 23rd. Implying we are getting closer to the end. I agree with everything except calling martyrs “outer court Christians.” Rev 12:11 describes them as loving not their lives even when faced with death. What greater description could be written of any believer? I was leading a group of believers into the wilderness. I felt the anointing of Moses. There was a large body of water (ocean or sea). I struck the water with an iron staff (in the name of Jesus Christ) and it began to be swallowed by the ground. We walked through on dry ground. We met other groups who had made it there. It was impressed in my heart Rev 12:13-16. This vivid vision gave me understanding. The scriptures are faithful and true. Glory to El Elyon. I still get shivers thinking about it. In Revelation 7 those who come out of the tribulation are not mentioned as having encountered death, but Revelation 6 indicates that many are martyred for their faith under the fifth seal. So it seems that those martyred in Revelation 6 are not in the Revelation 7 company who come out of the tribulation. I was wondering how to reconcile this with 1 Thessalonians 4:15–17, which says that the dead in Christ will rise first. I think I realized then that not every Christian who dies, dies a martyr. So I think that while the Christian who dies naturally gets to become a part of the Revelation 7 company who come out of the tribulation, the Christian martyr rises in the first resurrection as described in Revelation 20. Dying as a martyr comes with great honor and privilege in heaven. They are a greatly revered group of saints. Many Christians will die from the stresses of the tribulation, natural causes, and old age. Not every one will be martyred. Stephen was the first martyr and I believe the 2 witnesses will be the last martyrs. I am not sure what you mean Sujit. Please explain. The rest of the woman’s offspring (Rev. 12:17) against whom the dragon goes off to wage war, could they parallel the workers who are hired last to work in the landowner’s vineyard (Matt. 20:1–16)? So even though they are not a part of the man-child or the woman, and seem to be exposed to the dragon’s wrath, they also seem to have a part in doing the work of the Kingdom. And in the end, the Lord considers their efforts to be just as valuable as that of the rest of the workers. In other words, just as the landowner does not make a distinction in paying his workers, I don’t think the Lord makes a distinction between the man-child, the woman, and the rest of her offspring. Just as the workers in the vineyard start out at different times of the day, the three groups of believers in Revelation 12 also start out differently, but [I think] they all attain the same stature just as all the workers in the vineyard get the same pay at the end of the day. Since all this seems to happen before the rapture, I think the reward for these three groups is that they are all made rapture ready and are raptured together except for those who are martyred, who are accorded special honor in the first resurrection. Does this understanding seem right? I apologize if my words caused confusion, but I did not mean to imply that there are no other rewards in heaven apart from everlasting life. I realize there are. My intent was to emphasize that irrespective of when a person responds to God’s call, if he or she does respond and remains faithful, he or she is considered equally entitled to the gift (or reward) of everlasting life just as the one who has remained faithful all his life. The one who has remained faithful all of his or her life will reap the rewards for what he or she has sown whereas the one who entered the kingdom at the last minute will probably be as one escaping through the flames. However, the one reward (or gift) they both do reap (or get) is everlasting life in God’s kingdom. It is in this context that I feel that the Lord does not make a distinction. I agree with your point on that level of entering eternal life versus missing it and going to hell. The thief on the cross entered Paradise even though it was with his dying breaths. However, I believe there will be vast differences in how much heaven we enjoy depending on how we lived our lives here. The closer we are to God in this life, the closer we will be to Him in the next life and vice versa. Our relationship with Him in the next life continues where it left off in this life. Sujit please check out Matthew 13: 37-43 then Rev. 14 : 14-20 , these are the same event . Hi Phanuel, This is the best explanation I have ever heard about Rev 12, and it bears witness with my spirit. Thank you. The glory belongs to our Lord Jesus Christ. He reveals His mysteries. Shalom sister! I have been told to meditate on Revelation 12—HS is reminding all who will listen. Thank you for your post. Yes, have been waiting for the fiery event to commence since end of 2012, when I was awaken to the times of the end. I, too, like you was just a faithful church going christian prior to that time. I was blown away. I had not noticed it before until now. I had woken from the dream and had quickly written it down exactly as I had heard it in the dream, so as not to forget. Prior to this dream, I had asked the Lord about where we are at on the timeline leading to the end or do we have to wait many more years. Since then, I have been waiting with great expectation that we will go home very soon. However, waiting is really hard and often times doubts assails … I suppose time is up but as so many has said before, we’ll just living on borrowed time by the Grace of God. Hong, thank you for this comment! I love to hear confirmations of what I have heard in the Spirit. Thanks Jeff for your response. Checked out the link. Wow! Very interesting and the timing of it too. I pray the picture becomes clearer soon. Blessings. This missing puzzle piece would be so refreshing. It feels like it is getting more difficult to see clearly and definitively where we are at exactly. For whatever reason the Lord has held back the forces of darkness from going forth with their plans but I believe He will allow it soon. AND YES I HATE THE WORD SOON LIKE EVERYONE ELSE! Soon…is an indefinite time but its the best word we have right now. The Lord has told me many times over and over and over that He keeps track of time by events and our time means little to Him. On June 4, 2016, very early in the morning as I listened to the Lord, this is what I heard: I am coming in a way that will make even my believers wonder–they will wonder at my signs and wonders. They will wonder if it is really Me. You will be able to discern the motives behind the wonders because you know My ways. My ways will cause many to wonder. A great shaking, an earthquake in your country that will cause a wobble in the earth–it will be off balance just as clothes in a washer become off balance. This is the TRIGGER POINT–you will know IT has begun–the Great Sorrow in the land. Before the end of the summer (in 2016) everything will be in disarray, but those who rest in Me will not be shaken–enter My rest now. Get ready to have answers for those who are afraid, and there will be many. Fear will run rampant and cause great havoc. The trumpet of glory will sound–it will draw many into the sound; many will be repulsed by it because their eyes and ears are dull and their heart is hard. The blast will crack a hard heart as it cracks my earth open. 1 Peter 4:17: For the time has come for judgment to begin at the house of God; and if it begins with us first, what will be the end of those who not obey the gospel of God? I don’t know if it this is a literal, spiritual, economic, or political earthquake. I just heard what the effect will be………. Thanks Jeff , lots of good info here , for 20 years I have been trying to put together the order of military events . 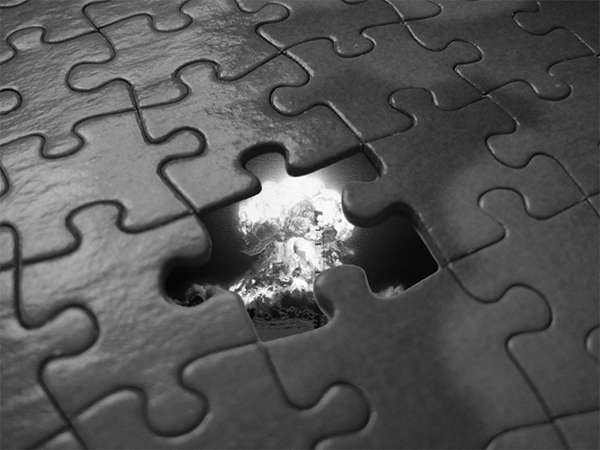 I think I am very close and just told the LORD recently I think I am just missing one or two pieces of the puzzle . Wonder if it will be one of the pieces I am looking for . SOON is a frustrating word to me! Thanks Jeff, it is funny how everything on your website just hits me with the power of TRUTH. For the longest time I thought I was kinda of going crazy with so many pieces of a puzzle that most people can’t even grasp. But you lay it out in the same way that I was shown. Unclean spirits that look like frogs …aka aliens…. and so much other stuff. I am excited but I have such a fear of the Lord that I am also respectfully nervous. I think I will be helping people find their way to a safe place in the mountains. When they ask “How did you know?” then I will simply say …. The Lord told me. Thank you for your confirming words Todd. I believe you are the only one that mentioned the part about the alien/fallen angel/ demon creatures. I am not certain but the Lord may be referring to them as one of the missing puzzle pieces…we shall certainly find out! I’m have now read in several places about 3 days of darkness and calamities that.ensue, and us being transitioned / transformed. And the Lord has spoken to me about becoming light. But where is the 3 days of darkness mentioned in Scripture in relation to this time period? I know about the 3 days in Exodus and Jesus being in the tomb for 3 days, but I see NO mention of 3 days of darkness in relation to Rev. 6 or the 6th seal. Yes, the sun is blackened and the moon is turned to blood, but no specific timeframe is mentioned. Where does this teaching originate? Here is where it can be found Exodus 10:21 Then the Lord said to Moses, “Stretch out your hand toward heaven, that there may be darkness over the land of Egypt, darkness which may even be felt.” 22 So Moses stretched out his hand toward heaven, and there was thick darkness in all the land of Egypt three days. 23 They did not see one another; nor did anyone rise from his place for three days. But all the children of Israel had light in their dwellings. It is also found in Isaiah 60:1 -5 which is speaking of the time of the end. jeff forgive this berian but as ed says (and i dont see why he needs to repent) there is no three day darkness event in the bible relating to revelation. yes there is darkness and we have had darkness before but this is not specifically mentioned in revelation as a three day event. as far as i know this actually stems from a prophecy from within the catholic church. when this darkness does occur it may well be for three days but we do not know and unless this is written somewhere in the bible then all prognostications need to be treated with a pinch of salt. however since we have had darkness before there must be some astrological event that causes it and a good suspect is nibiru and if it is, then it should occur twice within a few months (because of its orbit around the sun). ed was specific – he said that he did not believe in a THREE DAY darkness event not that there wouldnt be darkness. sorry if im wrong ed and putting words in your mouth but that is how i read the post. It came from the Catholic church. If you do a google search it has many explainations. What I find wierd is there seems to be more than one claiming the so called prophetic word. This just my opinion but I believe during or near the tribulation this will be used as a way to decieve many. There is no 3 day of darkness in the Bible. There is 3 hours of darkness mentioned when Jesus was on the cross. I believe they are twisting this and using it to decieve. Ed, look at the scripture verses above. Scripture is fulfilled over and over not just once. You would do well to think about what you are replying on before you do it because you will be held accountable for every idle word. I was so wrong. Wow, i’m so sorry. I knew you just didnt know the scriptures that were associated with this. Thanks. I just got seriously humbled and feel so bad. Looks like I better re read Exodus. I don’t want to mislead anyone. Ed, it takes a big man to humble himself and confess that he was wrong especially in a public forum like this. I have the utmost respect for you my bother! The Father is smiling at you right now! Here are some verses to live by. Thanks brother. After reading Lisa’s comment back to me, it was one of those want to get away commercials. Then i read your scriptures and oh man i wanted to crawl under a rock. Thank you for this word Jeff. I believe we are moving from a place of trying to discern how it all fits together to a place of knowing. I believe God is lifting the veil and opening the seals to those who are seeking after truth. God Bless. The puzzle pieces are all fitting together. Thank you Lydia, I agree with you for those seeking Him He is lifting the veil but for those who are not there is a dark blanket of deception that has been allowed to fall upon the whole earth. We must remain awake and diligent and about the Father’s business!